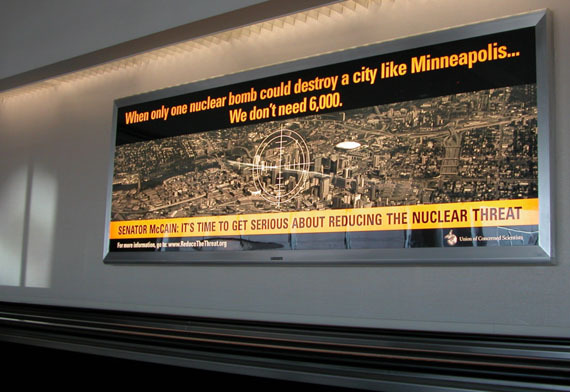 McCain is ostensibly for reducing our nuclear arsenal, just like the ad advocates. But the tenor of the Republican party for the past ten years has been so antagonistic to arms control that I *almost* don't blame Clear Channel for coming to the wrong conclusion. Heck, Mitt Romney made the same mistake while trying to become veep!